Kendall Honda Acura is pleased to be currently offering this 2009 Acura RDX Tech Pkg with 124,518mi. This vehicle is loaded with great features, plus it comes with the CARFAX BuyBack Guarantee. Treat yourself to an SUV that surrounds you with all the comfort and conveniences of a luxury sedan. Enjoy safety and stability with this all-wheel drive vehicle and drive with confidence in any condition. The incredibly low mileage and painstaking upkeep on this Acura RDX makes it a once-in-a-lifetime deal that won't last long! Call us today to reserve your test drive! More information about the 2009 Acura RDX: The luxurious Acura RDX has a high-performance edge and is geared for those who want a sporty, all-weather vehicle but who won't venture off-road. The RDX has more curvaceous, edgy styling than other compact SUVs while still having a roomy, flexible interior. 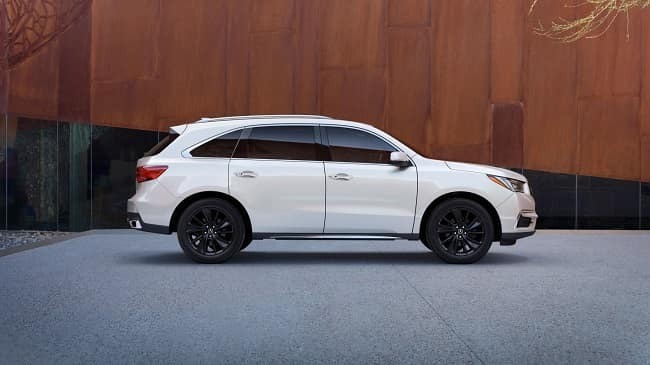 It also stands out for safety features and crash protection; Acura says its one of only two luxury SUVs to achieve both a five-star rating in federal front- and side-impact crash tests and be an Insurance Institute for Highway Safety (IIHS) Top Safety Pick. This model sets itself apart with versatile cargo space, Sporty performance and handling for a utility vehicle, and wide range of luxury features in a compact vehicle. Kendall Honda Acura is honored to present a wonderful example of pure vehicle design... this 2018 Acura RDX w/Technology Pkg only has 0mi on it and could potentially be the vehicle of your dreams! CARFAX BuyBack Guarantee is reassurance that any major issues with this vehicle will show on CARFAX report. The RDX w/Technology Pkg doesn't disappoint, and comes with all the quality and understated opulence buyers have come to expect from the respected Acura marque. A truly versatile SUV, this vehicle will please even the most discerning of buyers. Quality and prestige abound with this Acura RDX. This AWD-equipped vehicle will handle beautifully on any terrain and in any weather condition your may find yourself in. The benefits of driving an all wheel drive vehicle, such as this Acura RDX w/Technology Pkg, include superior acceleration, improved steering, and increased traction and stability. Contact Kendall Honda Acura today for information on dozens of vehicles like this 2013 Honda CR-V EX-L. Drive home in your new pre-owned vehicle with the knowledge you're fully backed by the CARFAX Buyback Guarantee. Gone are the days of SUVs being the size of a tank and handling like one. This Honda CR-V is a perfect example of how SUVs have evolved into vehicles that are as refined as they are rugged. Enjoy safety and stability with this all-wheel drive vehicle and drive with confidence in any condition. More information about the 2013 Honda CR-V: Honda has a successful formula for their compact SUV and they see little reason to deviate too much. All CR-Vs come with a capable 4-cylinder engine, a cleverly designed interior and compact exterior dimensions. This is all wrapped up in attractively designed sheet metal and sold with available all-wheel drive at a competitive price. While some competitors have allowed their vehicles to balloon in size, features and price, Honda has steadfastly stuck to the winning formula that has made every generation of CR-V a success. Interesting features of this model are Practical and well-equipped with available all-wheel-drive. Check out this gently-used 2018 Mitsubishi Outlander we recently got in. This 2018 Mitsubishi Outlander comes with a CARFAX Buyback Guarantee, which means you can buy with certainty. The Mitsubishi Outlander is the benchmark all other SUVs strive to meet. With exceptional power, towing and handling, this SUV can handle anything thrown at it. This Mitsubishi Outlander ES comes equipped with 4 wheel drive, which means no limitations as to how or where you can drive. Different terrains and varying weather conditions will have no effect as to how this vehicle performs. You could keep looking, but why? You've found the perfect vehicle right here. Kendall Honda Acura has a wide selection of exceptional pre-owned vehicles to choose from, including this 2018 Toyota C-HR. How to protect your purchase? CARFAX BuyBack Guarantee got you covered. The Toyota C-HR is the benchmark all other SUVs strive to meet. With exceptional power, towing and handling, this SUV can handle anything thrown at it. Outstanding fuel economy and sleek styling are two great reasons to consider this Toyota C-HR. This is the one. Just what you've been looking for. At Kendall Acura, we know not everyone has it in the budget for a new Acura SUV. This is why we carry a massive inventory of affordable used SUVs in Eugene. You can shop our assortment of used Acura SUVs, as well as SUVs from a host of automakers. With a variety of options, we’re sure you’ll find something at our Eugene used SUV dealership that fits your lifestyle and budget. We also serve the Sweet Home, Lebanon, and Florence areas. Not sure what size SUV is best for you? Come by our used SUV dealership today and let our experts help you shop our inventory of used SUVs for sale in Eugene. We have something for every budget, lifestyle, and family size. Are you looking for something equipped to handle tough off-road terrain or just want to easily navigate Oregon winters? Shop our selection of used 4×4 SUVs that will easily take you anywhere you want to go. If you’re in the hunt for a small SUV, take one of our sporty crossover SUVs for a test drove. We’re sure you’ll love the way they drive. If you need more cargo space for your weekend getaways, a full-size SUV could be just the thing for you. Be sure to browse our 7-passenger SUVs that come equipped with a third row for extra seating, as well. While you’re here, visit our Acura Finance Center and let our financial experts help you apply for a Eugene auto loan. You can also apply for a free car appraisal to find out the trade-in value of your current vehicle by filling out our trade-in form. 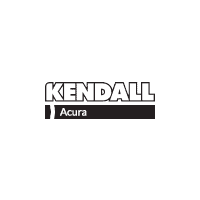 No matter if you’re in the market for a compact SUV, midsize SUV, or full-size SUV, Kendall Acura is the used SUV dealer you’ve been looking for. Contact us online or come by today to shop our used SUVs in Eugene.